PayKickstart can display dispute and chargeback transactions, but it requires you to set it up in your Braintree account. This will allow you to handle transactions and affiliate commissions properly so any lost disputes or chargebacks don’t get credited to the affiliate. Step 1: Grab the Webhook URL provided by PayKickstart. 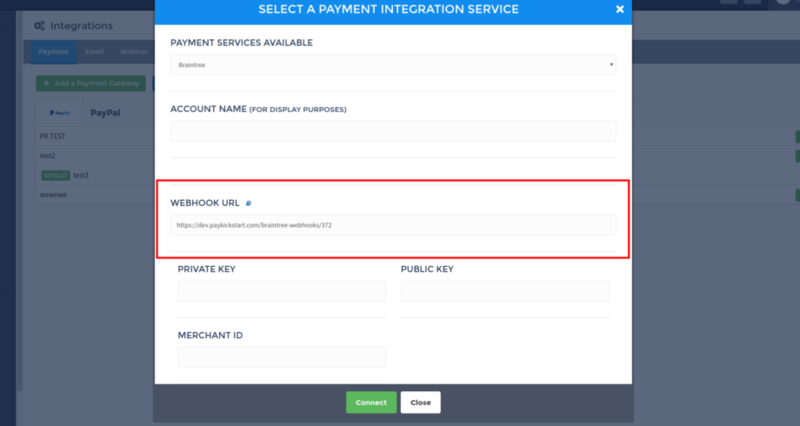 Step 3: Then go to Settings >>Webhooks, then click “Create New Webhook”. Step 4: Enter the webhook we provided you as the destination URL. Make sure you tick all of the options under “Dispute”.